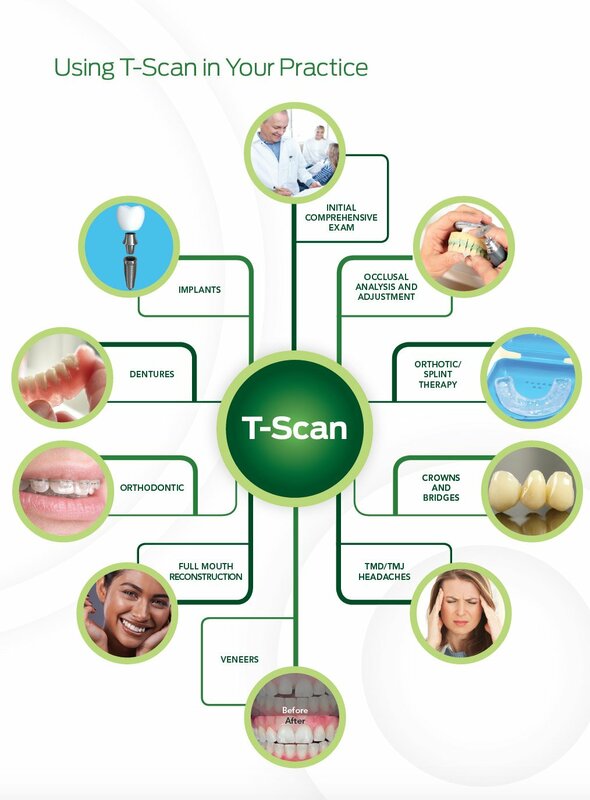 T-Scan provides dynamic occlusal measurement—revealing the level and timing of force on individual teeth and the occlusal stability of the overall bite—bringing articulating paper marks to life. 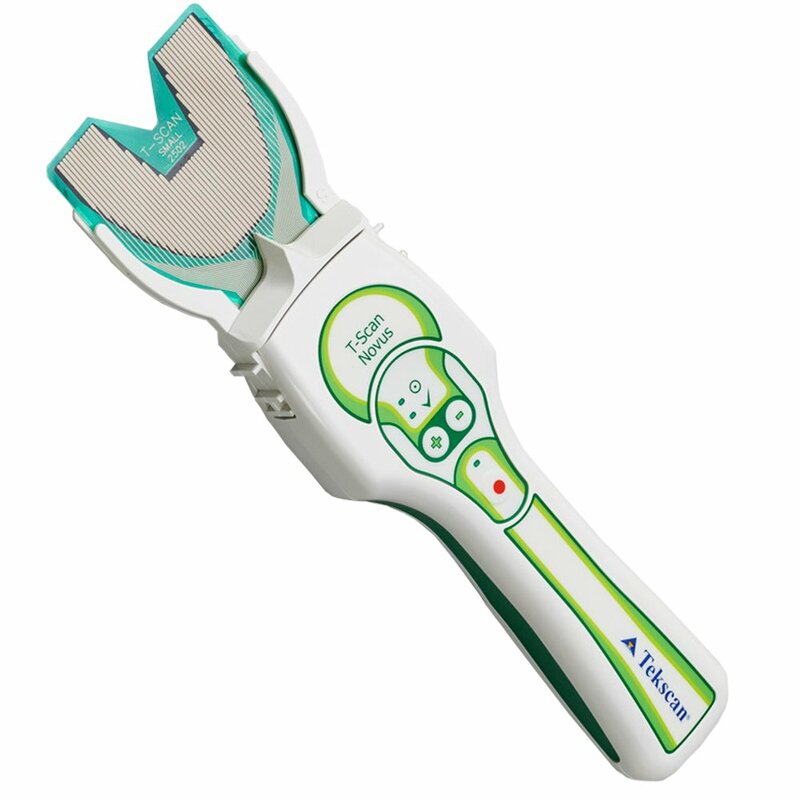 With T-Scan, you can visualize and treat destructive forces before they become a problem, yielding better patient outcomes. An objective assessment aid, T-Scan enhances patient education, satisfaction, and retention, reduces non-compensated repeat visits and remakes, and enables a more confident, proactive approach to patient care. The patient sees you as a progressive doctor with advanced technologies that enable a more comprehensive approach to their treatment.